Boy o boy! This was the most difficult decision we've had to make in a long time. We received so many amazing entries for our 2011 tea towel design competition that it was almost impossible to choose between them. However, we finally managed to whittle it down to one ultimate winner. Congratulations go to Falkirk based designer, Robbie Henderson. 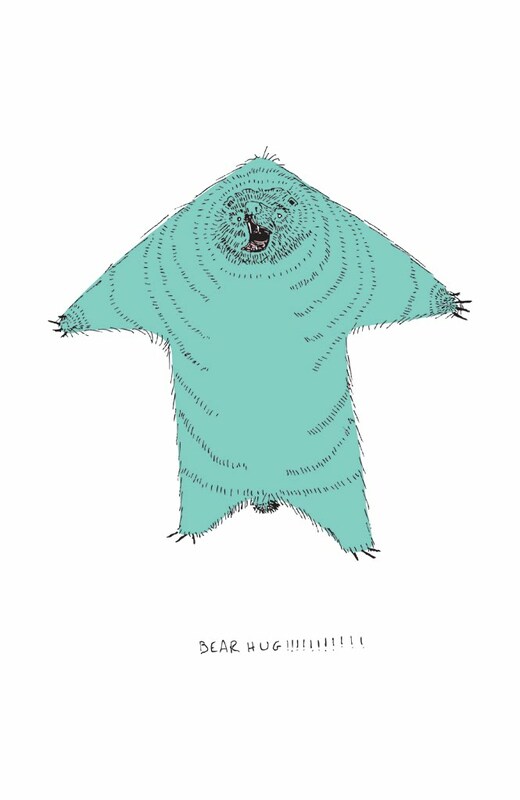 Please may we introduce... Bear Hug!!!!!!!!!!! We fell in love with the ambiguity of this great big bear (does he really want to hug you, or does he actually just want to eat you?!?) The design will now be put into production, with the final tea towels ready to dry dishes in June. We can't wait! Thank you so much to everyone who entered. We were overwhelmed by the number and quality of entries, and just feel bad that we can't choose everyone! We'll be running another design competition next year, so do please keep popping back to the blog. We love vegetables (and Nicholas Frith)! Oh my! 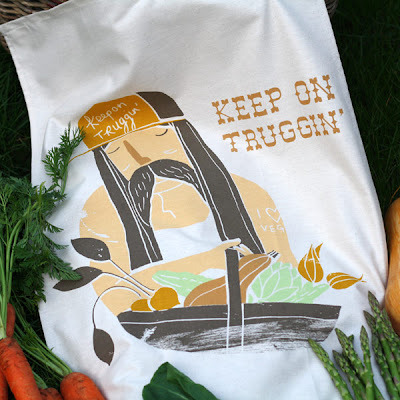 We're pleased to introduce Keep On Truggin', the latest artist-commissioned tea towel in our ToDryFor range! 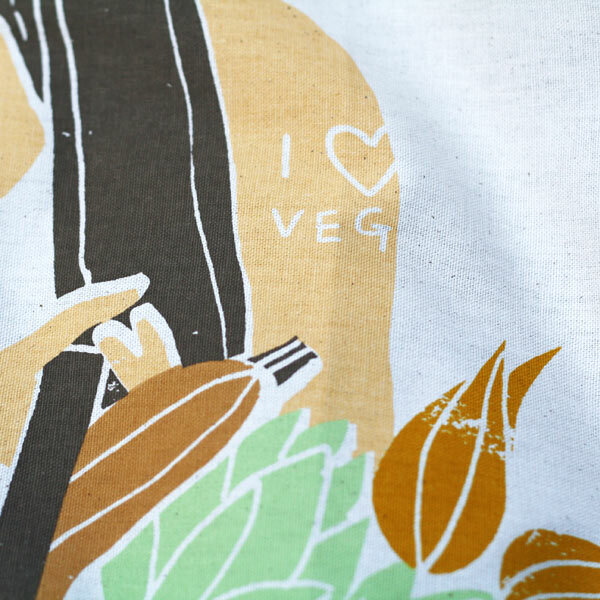 This delightful vegetable-toting trucker has been designed by Nicholas John Frith, and is perfect for all allotment-owners, vegetarians, and fans of Cannonball Run.